Description Addictive 3D puzzle game with realistic physics, nice graphic, music and interesting gameplay! Total 20 levels with build-in tutorial and hints. The goal of each level - to hit the target. You control team of cubes (up to 4 items). 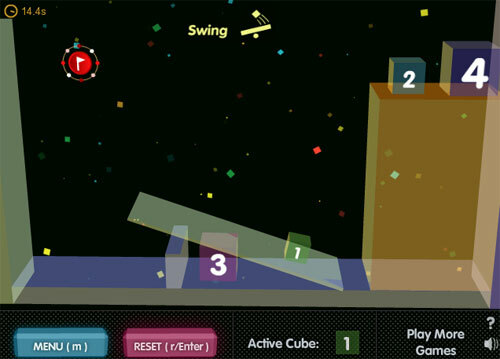 Controls Use arrows (or WASD) to manipulate selected cube. Use nums (1,2,3,4) to switch between available cubes. Use Enter or 'R' to reset level. Use 'M' to open game menu.